Don&apos;t be alarmed when you drive up to Chatham Hill Winery. Many people expect to see a scenic countryside filled with vineyards. This is not the case. Grapes care about where they are grown, and Chatham Hill Winery produces quality wine made from Yadkin Valley, North Carolina grown grapes. Honestly, I have a feeling that grapes wouldn&apos;t like to be grown a few miles away from the airport in Morrisville, where the winery is located. About 90 percent of Chatham Hill Winery&apos;s grapes come from North Carolina, the other 10 percent coming from California to make dry wines. 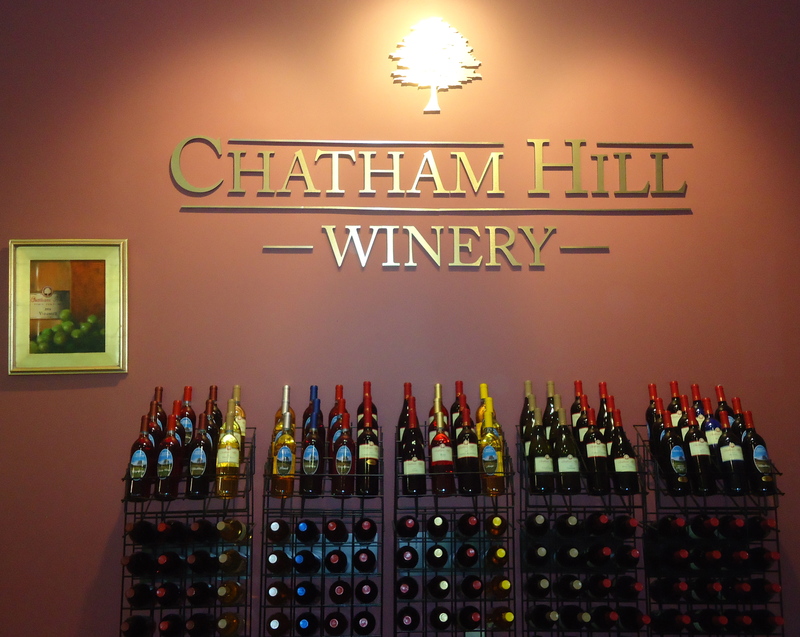 Chatham Hill Winery has been Greater Raleigh&apos;s urban winery for 13 years and takes pride in providing award-winning wines to the public. Dr. Mark Wojciechowski began experimenting in his lab and before too long opened a winery in the back of his building. Mark is the winemaker and produces European style premium wines and casual fruit infused wines, which have received numerous awards since 1999. 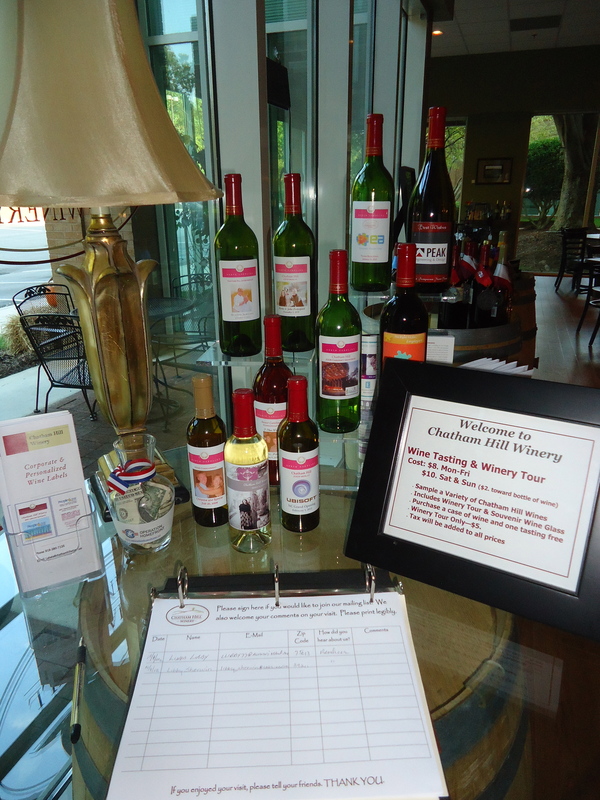 Chatham Hill Winery does not produce sweet muscadine wines. If you are looking for something sweet, try one of their Sweet Carolina wines. After fermentation, the winemaker infuses fruit into a French dry white wine. I have tasted the blackberry, strawberry, mango, peach and pomegranate semi-sweet wines. The wines each have a wonderful fruit aroma. One of my favorites is the pomegranate, which is slightly sweet with a cranberry cherry aroma. The wine has a zesty tart flavor and a slightly sweet finish. Blackberry Cabernet Franc is also delicious and one of the best sellers at Chatham Hill Winery. 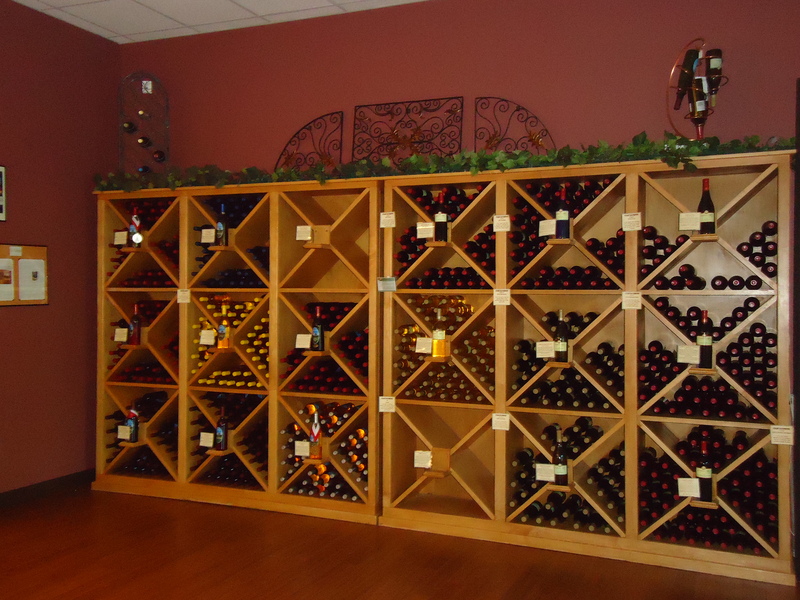 If you aren&apos;t into sweet wines, you don&apos;t want to miss the incredible selection of dry wines. The 2009 Viognier is dry with a vibrant fuity nose and floral aromas. The wine&apos;s citrusy and apricot flavors would pair nicely with a light goat cheese. Mark&apos;s wife, Jill has a favorite wine, the 2010 Pinot Noir. I would definitely have to agree! This dry wine has wonderful sweet bing cherry and ripe plum aromas. 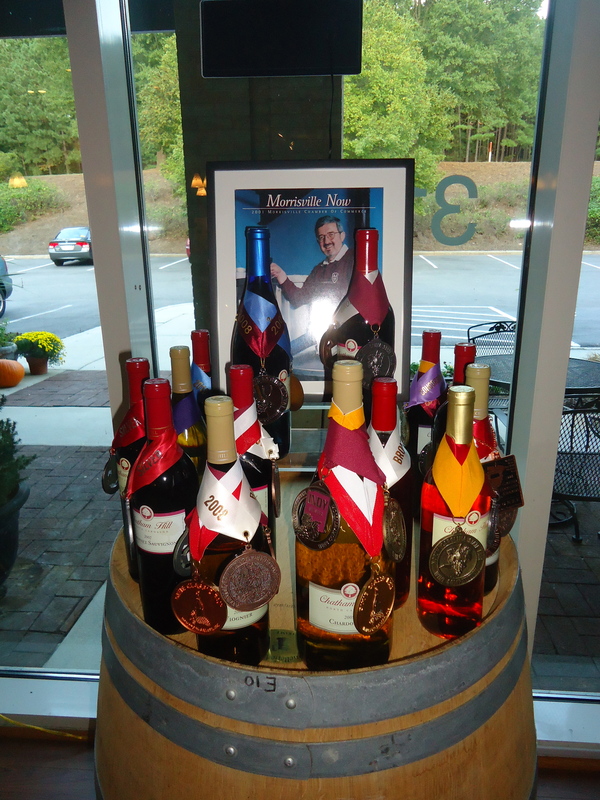 Stop by the winery Monday-Friday from 11am-5pm, Saturday from 11am-6pm, or Sunday from 1-5pm for a wine tasting. You can also purchase Ashe County Cheese or locally made chocolate to go along with a glass of wine. Most likely, you&apos;ll have such a great visit at Chatham Hill Winery that you&apos;ll have to purchase a few bottles of wine to take home too. Not only can you participate in a wine tasting at Chatham Hill Winery, winery tours are offered Monday-Friday at 12:30pm and 3:30 pm, Saturday at 1pm, 3pm and 4:30pm, and Sunday at 2pm. Jill and Mark gave me a tour of the winery where I learned the differences in machinery and tools used to produce white and red wines. The tours are educational and I learned a tremendous amount about what it takes to produce quality wine. 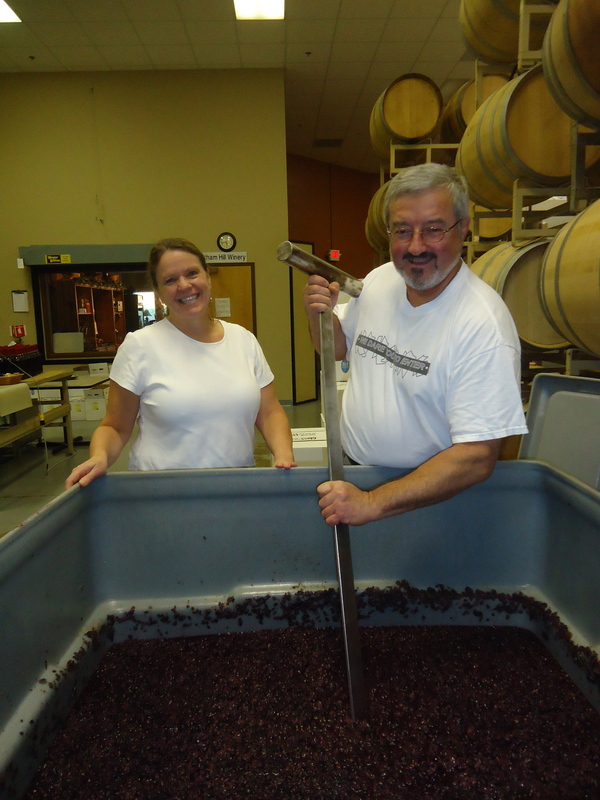 October is a busy month for Chatham Hill Winery. 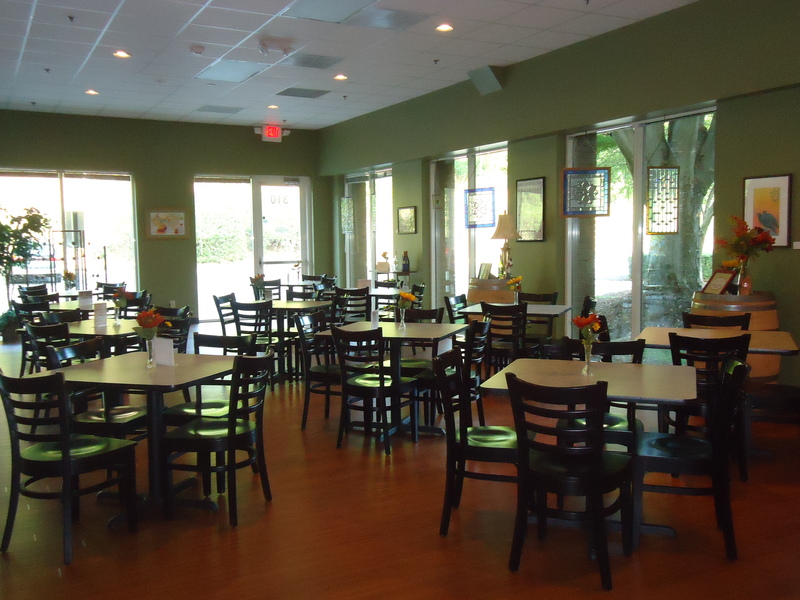 The winery will be offering wine and cheese pairings on Saturday and Sunday, October 20-21. Come out to enjoy the 2009 Viognier paired with a local Mountain Jack cheese and the 2009 Merlot paired with Gouda. The October 26 Food Truck Rodeo from 6-9pm is sure to be a hit. The Humble Pig, Cafe Prost, MaMa Duke&apos;s, Porchetta, Sarge&apos;s Chef, Chirba Chirba Dumpling, Hibachi Xpress and Martin&apos;s Curry Rice will be serving up some delicious food for you to enjoy with a glass of wine. You can also dress to impress in your grown up ghoul or goblin costume to receive a free glass of wine during Halloween Weekend, October 27-28. You don&apos;t even need an excuse, just drop by anytime to unwind with a glass of red or white. My favorite part about the winery is the barrel room, which can host wedding events, parties, social dinners and corporate events. 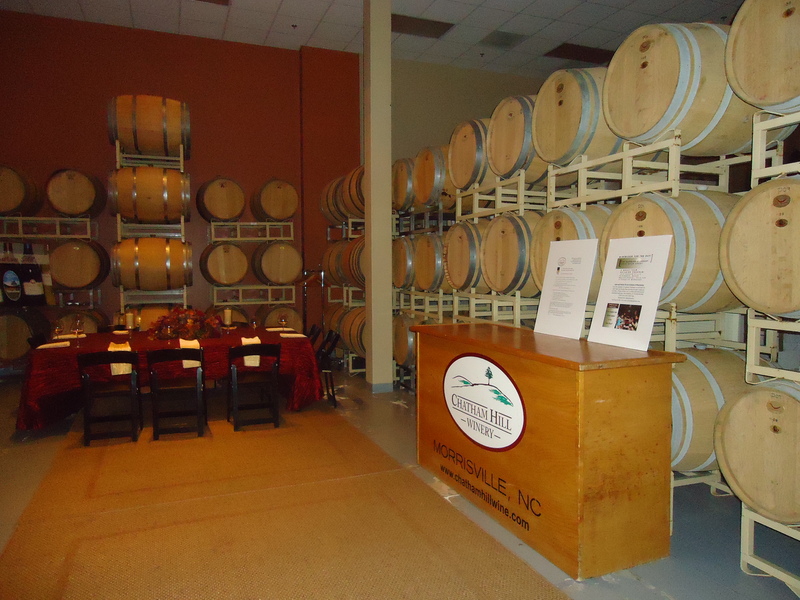 The barrel room offers an intimate setting and guests are surrounded by barrels filled with wine. You can also create corporate and personalized wine labels, which are great for gifts, advertising your business or as party favors. The holidays are right around the corner so keep this in mind! I guarantee you will have an amazing visit at Chatham Hill Winery. If you like the winery as much as I do you can even join the Chatham Hill Wine Club, which offers special benefits to members. Jill and Mark gladly welcome you to Chatham Hill Winery and will treat you like family. They take pride in their wine and always want their customers to be satisfied.